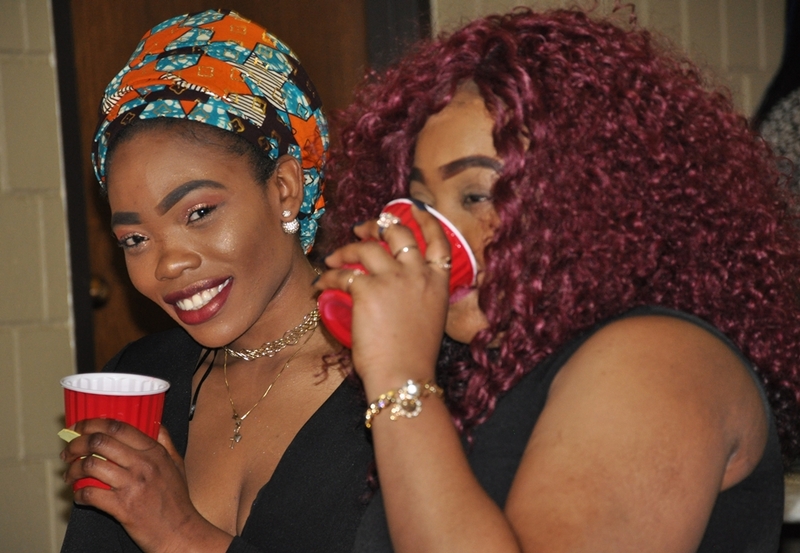 Minneapolis, Minn – The Togolese diaspora gathered in Minnesota, Midwest North America to commemorate their country’s independence on April 28. A joyful moment for the community to meet, greet and interact with each other. Togo, a West African nation is boarded in the west by Ghana, north by Burkina Faso and in the east by Benin. Togo is full of hospitality, great people, kind-hearted, diverse and inclusive. The country gained its independence on April 27, 1960 from France with the help of the United Nations after several years under France’s colonial rule following World War II. 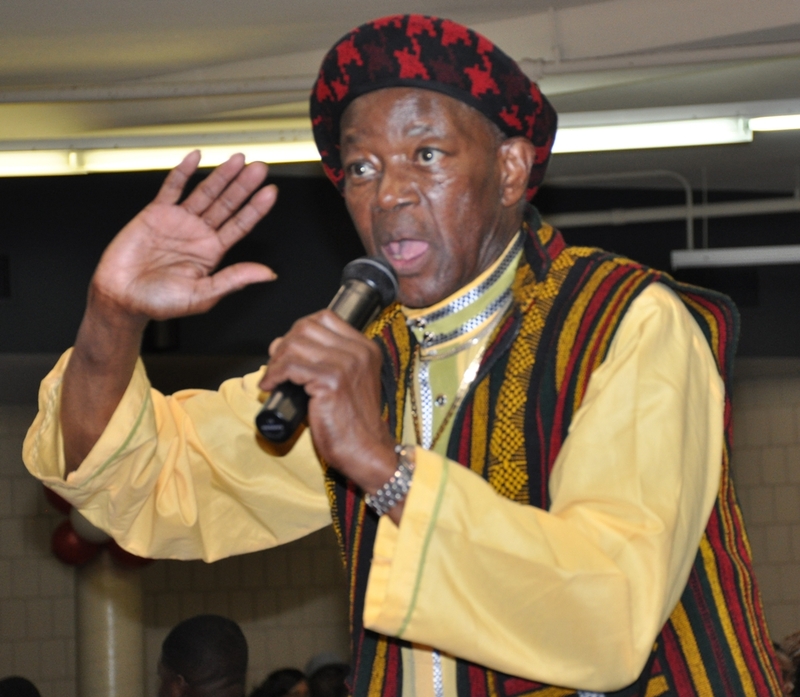 In celebrating Togo’s 58th anniversary of independence, the community showcased its cultural attires and entertainment. Music, food, dances, a short documentary about Togo and its first Presidential State visit to USA in 1960, capped with a silent auction. And then, it was time for Diversity Expressions – where community members came out and welcomed each other in their local language. Togo has more than 40 clans with different dialects, it was interesting to hear welcoming and peaceful messages in Ewe, Fond, Kabye, kotokoli, Tem, Temberma, …etc during the event. 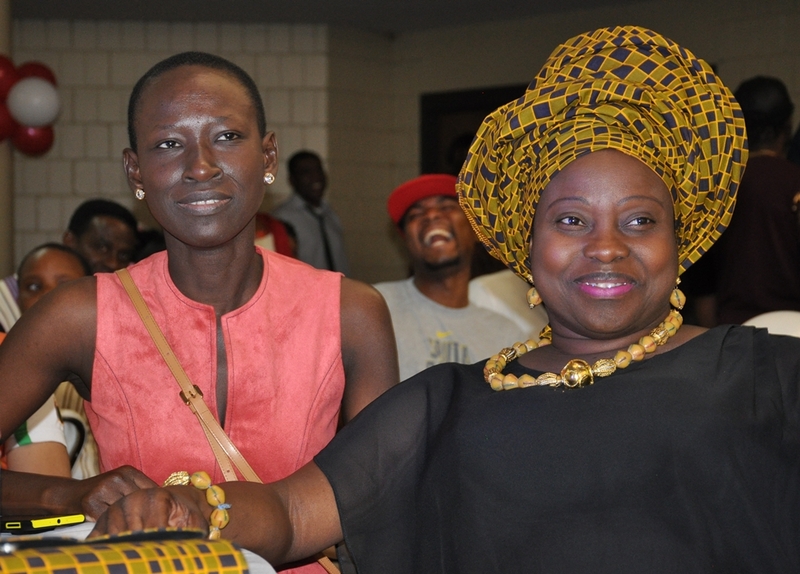 In addition to those welcoming messages expressed in local languages, the community invited two Togolese celebrities. The artists were participated at the party. Musician Ali Jeez and sister Marceline took the stage with the audience dancing, clapping and asking for more tones as the night rolls on. Marceline sang her original gospel songs. And then switched to Togolese local gospel, and the independence song to grace the occasion. It was incredible and interesting to hear this talented voice from Togo and its diaspora. It reminded everyone of their childhood listening to our great artist Bella Bello, and Agboti yao… and then comes Ali JEZZ, “one for love”. Ali JEZZ came travelled from Texas to perform for the independence in Minnesota. Upon his arrival, the audience stood up and sang along with him. It was a joyful expression of love of the country. 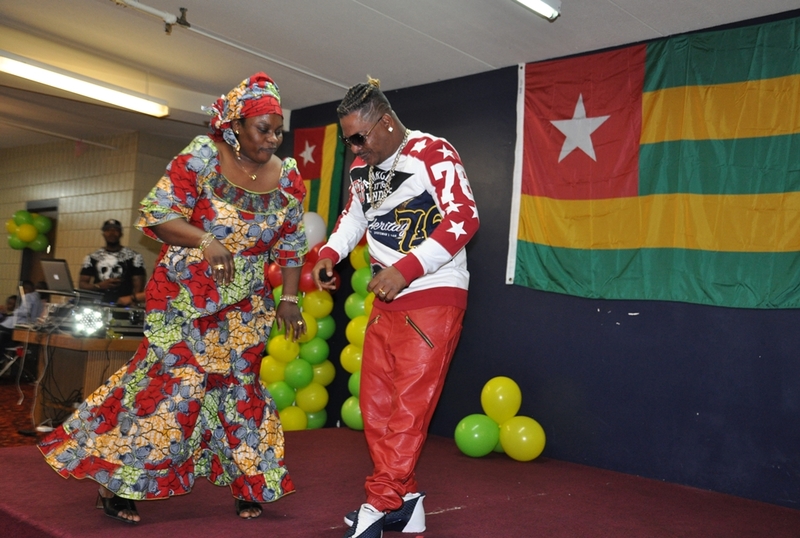 An evidence of celebrating Togo’s culture and integration at home and abroad. A crowd of about 300 people celebrate Togo even with all its political turmoil. Many were happy and hopeful for a better and prosperous Togo. The celebration went on with a variety of music and dance in the evening after community members had fundraised by selling food, drinks and auction till 10pm. 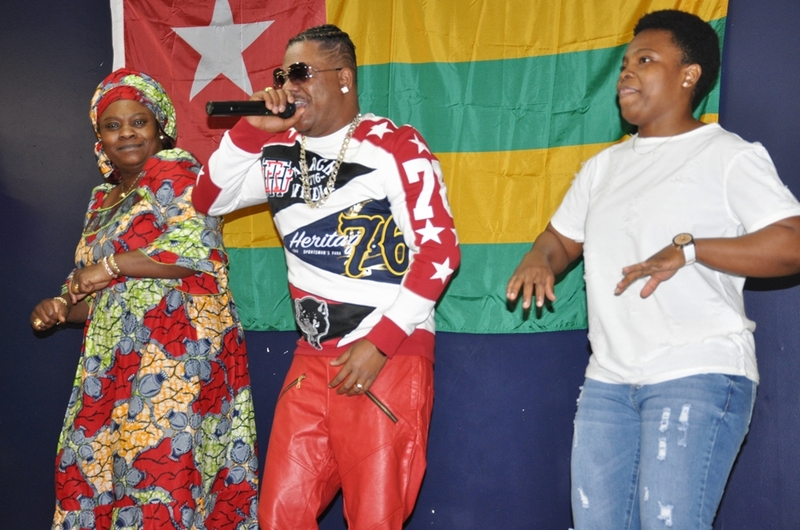 The celebration was initiated by the Togolese diaspora group known as “Diaspora Forces Minnesota.” Its goal – fundraise and help victims of police and military brutality in Togo. Togo has been politically unstable since its independence in April 27, 1960 when the first president, Sylvanus Olympio was assassinated by a group of former French military soldiers who fought alongside France during the Indochina war. Since the year of the assassination, Togo was ruled with a strong fist by military-president Eyadema Gnassingbe for 38 years until his death in Feb. 2005. After Eyadema death, his son Faure Gnassingbe usurped the seat which lead to riot and political crises across the country. Faure temporally ceded power due to pressure from the United Nation, Togolese, and international organizations requesting election in 2005. Surprisingly, Faure was proclaimed president of Togo after a rigged election. Since then, Togo has transformed into a country with endless political crises under Faure’s regime. Yet, Faure has been in power for almost 15 years ( 3 terms), he still aspires to continue ruling Togo as exemplified by his father. According to political observers, this it is regardless of Togo’s 1992 constitution which stated that “in any case no one should be elected president for more than two terms.” In violation of constitution, the regime uses military power to brutalize peaceful protesters and in the process killing many Togolese. The Diaspora Forces (DFMN) group was formed to inform and raise awareness about Togo’s sociopolitical issues. To help Togolese fight for their right and justice in their country. DFMN also helps victims and the poor with food and medical expenses. The Togolese independence celebration is one of the many events held by DFMN with a unique goal to fundraise and support social actions. The DFMN engages in new member drives by inviting everyone to join and support future events. DFMN is organising an awareness campaign and Sit-In in June to support Togo’s struggle. Intersection of Highway 35W/ Washington Avenue, Minneapolis. Entrance: FREE – Everyone is welcomed! Next articleChasing Liberian War Criminals. Who’s Next?